Everyone loves having healthy and luscious hair. Shiny beautiful hair gives you a positive image, while dull and brittle hair gives you a miserable look. Rich luscious hair is very impressive and can be envy of the world. In order to get and maintain healthy beautiful hair, you need to look after it very well. You need to establish a good daily hair care routine such as shampoo, conditioners, brushing and so on. I have thick blonde hair and have been keeping it long since I was young and I was always proud of my luscious hair. Just recently, as I am entering my early middle age years, I noticed my hair was not as long as it used to be. It had lost its glossiness and strength. I had brittle hair with split ends which gives me a shabby look. Since I got pregnant 10 years ago, I have been using organic hair care products only. However those products don’t use silicone in their ingredients. I prefer all natural organic ingredients, but silicone is the one that gives you additional luster. As my hair lost its glossiness, I was reluctantly thinking about going back to silicone-containing commercial hair care products. Then one day I encountered this revolutionary great hair care method. It is “shampoo- free” hair care. A good friend of mine whom I hadn’t seen for a year, turned up with gorgeous looking hair. I remembered she had lots of hair problems last time I saw her, thin, brittle, dry and so on, so naturally I was quite shocked. What had happened? I asked her about her hair transformation and she told me about “shampoo free” hair care. It sounded a bit peculiar initially, but my friend was living proof that it works, so I jumped on the idea and started “shampoo free” hair care myself. Now a few months later, I am here with my thick healthy luscious hair thanks to “shampoo free” hair care. So I would like to share my eye opening experience of looking after my hair without shampoo with you. I understand when you hear the phrase “shampoo free”, you would think “but how can you wash your hair and keep it clean without using shampoo?” I was the same at first. However, after a few months of cleaning my hair without shampoo, my hair is as clean as ever and as a matter of fact, it looks and feels healthier and stronger. By the way, shampoo free doesn’t mean you use soap for washing your hair instead of shampoo, you just don’t use any of them. You may be thinking your hair will get greasy and smelly without using shampoo or soap, but the truth is far from it. One of the good reasons I was attracted to this shampoo free idea is, most of shampoo is a detergent which is harsh for your scalp and skin. It is detergent, so it cleans your hair but at the same time, removes all the natural oils from your hair as well. And those natural oils are essential to keep your hair soft and strong. Moreover, most of all commercial shampoo includes various chemicals which are possibly harmful to your health. They are very good reasons you avoid using shampoo. So if you don’t use shampoo, how do you wash your hair? Here are some methods which worked really well for me. 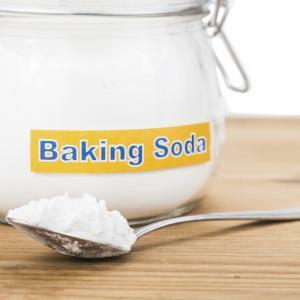 Baking soda is the mildest alkaline and it can really gently cleanse your hair as well as removing chemical buildup. It clarifies your hair and works wonders. The method is very simple, you just mix one tablespoon of baking soda with one cup of water. If you have thicker or longer hair, you may need more, just experiment and find the right amount for you. You can put the mixture in the squeeze bottle or empty shampoo bottle and shake well. First soak your hair with warm water and pour the baking soda mixture just like you do with your shampoo. Then massage your scalp gently for a few minutes and rinse it out. 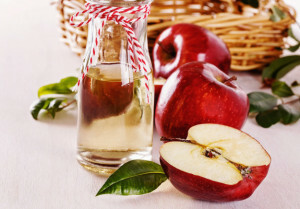 Apple cider vinegar is acidic, therefore works well to counteract the baking soda. It can be used as an alternative hair conditioner and actually works better than the commercial conditioner. It seals the cuticle as well as keeping your hair’s pH balance, and detangles the hair follicles. Put one tablespoon of apple cider vinegar into one cup of water and mix it in the squeeze bottle or empty conditioner bottle. After baking soda hair wash, pour a little bit of apple cider vinegar mixture in your hair and leave it for several seconds and rinse it out. These are my hair care routines and my hair is healthy, strong and more gleaming than ever. I don’t think I will ever go back to shampoo.